Don’t even think about giving mom these on Mother's Day! “It’s the thought that counts…” These are the famous words uttered by mothers all over the world, around the same time every single year. Mother’s Day is fast approaching – and, if you’ve just realised that, it means that you’ve already left it to the very last minute to get mom a meaningful gift. Gift certificates – it just saves you the effort of getting a gift yourself. Pots and pans – who is this gift really for? Cleaning products – this is the last thing she wants. Box of chocolates – that she’ll feel obliged to share with the whole family. A framed picture of yourself – what if you’re not her favourite? A personalised Mother's Day coupon booklet – back rubs should be free. Lingerie – rather leave it up to dad. Diet cookbook – how better to tell her to lose a few kilos? A houseplant – it’s just another thing that needs taking care of. Hair dye – leave it up to her to decide if she wants to go fiery red. Windshield wipers – get her what she wants, not what she needs. Steak knives – this can’t really be for mom, right? A waist trainer – right up there with the diet cookbook. Gardening tools – did she ask for them? A gym membership – hold it right there buster. Parenting books – you’re still alive aren’t you? A homemade card – you’re not 12 years old anymore. Household appliances – don’t leave her wondering about your motives. Nothing at all – now, this is just heart breaking. 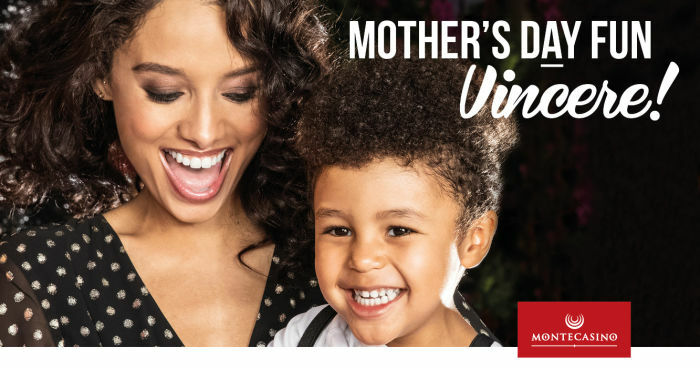 If you want to make mom feel special on Mother’s Day, treat her to a culinary experience at any of Montecasino’s 29 restaurants on 13 May, and stand a chance to win exciting prizes. Third prize: a night’s stay at Southern Sun Montecasino and a meal voucher. In Fiona Barton’s latest book, “The Suspect" faraway dangers hit dangerously close to home. Can I get a refund? Wendy answers the most popular Consumer Protection Act question asked by consumers across South Africa.